The most commonly used wine rating system is the 100-point system, which has been adopted by some of the biggest names in the wine industry. Robert Parker, considered one of the world's most influential wine critics, is the one who is credited with popularizing the 100-point wine rating system. To understand the 100-point system, it's important to look back at Robert Parker's methodology at The Wine Advocate (TWA) and how he rates his wines. He is very strict on his ratings and tends to be overly critical of a wine. This means a very high score from Robert Parker may be a "once in a lifetime" type of wine. 96 to 100 points - Extraordinary wines that display all attributes you'd expect to find in this variety; wines worth the extra effort to find, purchase, and consume. 90 to 95 points - This is the "outstanding" category and are considered terrific buys. 80 to 89 points - Barely above average wines that have some finesse, flavor, and character, but they have no noticeable flaws. 70 to 79 points - Average wines that are soundly made and straightforward. 60 to 69 points - Below average wines that have noticeable character flaws; are often awkward and lacking in flavor. 50 to 59 points - These are unacceptable wines. When possible, all his tastings are done in peer groups, with single-blind conditions, which means the same types of wines are tasted against one another without any of the producers' names revealed. Some exceptions on this include barrel tastings, wines under $25, and specific appellation tastings where he doesn't have samples from at least 25 of the best estates from that region. For the most part, wine is judged on the same basic criteria - the difference in the score is usually a matter of the personal preferences of the person tasting the wine, and some minor point differences within their take on the 100-point system. WA 80-89 is slightly above average whereas WS rates 85-89 as very good and 80-84 as good/solid. WA 70-79 is average whereas WS rates 75-79 as mediocre - drinkable but may have minor flaws and 50-74 is not recommended at all. The Wine Enthusiast rating system is based on an 80 to 100-point rating system. They break down their ratings into even smaller categories versus WA or WS. 98 to 100 points - A perfect wine in quality, body, and aromas. These wines are perfectly balanced in acidity and tannin levels and display complex flavor characteristics. 94 to 97 points - A great achievement. 90 to 93 points - This is the "excellent" category for the Wine Enthusiast and come highly recommended by the magazine. Wines that receive a rating below 80 are technically not reviewed and scored. 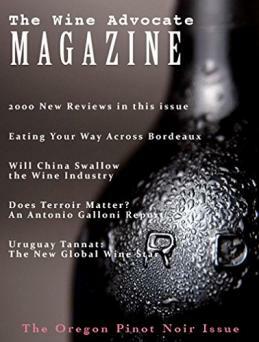 Decanter wine magazine now scores using the 100-point scale, but that wasn't always the case. Their old 20-point system was the old go-to system that some critics used. There may be some older 20-point ratings you still see, and Decanter has a great chart on their site that shows how to convert between the two, as well as how these scores relate to their medal awards. Checking the scores and tasting notes will give you a look into why wines were rated at their current numbers. 1990 Beausejour Duffau Lagarosse: 100 points $699 a bottle versus 2000 bottle rated 92 points is only $99. 2001 Cheval Blanc: 98 points is $449 versus 2010 in wood case with 100 points is $1,099. 2015 Colgin IX Proprietary Red Estate: The WA says this is "Full-bodied, rich, firm and restrained, it has a lovely earthy, soft-spoken style at this youthful stage, promising great things to come over the forthcoming 25-30 years." 2015 Eisele Vineyard Cabernet Sauvignon: Again, the WA praises the bottle, saying "The structure deserves its own mention: wonderful, seamless freshness and oh-so fine, pixelated tannins, with an extraordinary persistence of fruit and mineral nuances. Wow." Vega del Castillo 2013 Finca el Espartal Merlot (82 points): This rating is described as "rubbery and fiery" along with "monotone" and "off base and dirty" fruit flavors. Casa Nuestra 2011 La Jolla Del Norte Vineyard Block Two Cabernet Sauvignon (82 points): The critics come out with an unenthusiastic description that includes "flat" and "past its prime." Pete Cellars 2011 Carneros Estate Pinot Noir (80 points): The critics say it is "flawed" and has "undertones that veer into Band-Aid." They also note that several bottles were tried. Del Rio 2013 Syrah Rogue Valley (82 points): You'll read that the wine "could be anything" and it's "generic" from the tasting notes. Bogle Old Vine Zinfandel: Food & Wine says this is one of the best Old Zinfandels on the market. WE rated the 2014 vintage 89 points/Best Buy. Their tasting notes state, "Lively fruit flavors and great balance make this wine easy to appreciate and a versatile pairing with food." Yalumba Viognier: Food & Wine says this is a great Viognier, as the winemaker's talent shines with this wine, as she stays away from the overripe peachiness that typically ruins inexpensive viognier wines. WE rated the 2015 vintage an 89/Best Buy, noting, "A terrific value this offers a surprising amount of varietal character for the price." A wine may be a 78-point wine, but you won't see that as low ratings are not publicized so it may look like a wine was not reviewed/rated. A 93-point Cabernet is not comparable to a 93-point Merlot. Even wines within the same category are not necessarily comparable with the same score. Wine ratings may cause wine prices to increase. By following wine ratings as they come out, you may be able to snag these wines at a fairly reasonable price, especially if the winery has not received significantly higher ratings in the past. If you maintain a cellar, ratings, like the 2015 Colgin IX noted above, might be of interest if you want to purchase a wine now and hold on to it for a number of years. 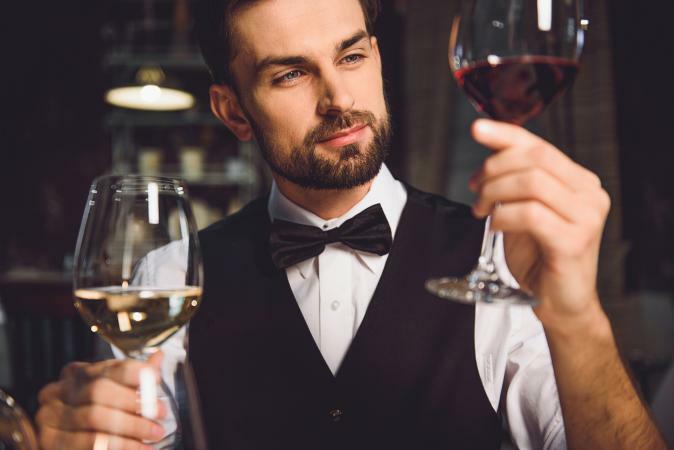 If you're looking for higher-rated wines to buy, you should read what all the experts say about the wine, consult other buying guides, and even read consumer ratings to see if the wine is something that aligns with your preferences. If you can't stand California oaked Chardonnay, don't spend money on a 100-point California Chardonnay in oak just because of its rating. You aren't likely to change your preference on a wine style just because one is more highly rated than the others. Wine ratings are great for sourcing highly rated wines, but it's also very important to remember that these are subjective. What may be a 90-point wine to one reviewer, may be completely different to another reviewer. And, just because a wine is highly rated, doesn't mean it's perfect for your palate. At the end of the day, it's important you love the wine you're drinking, not because a critic said you should.